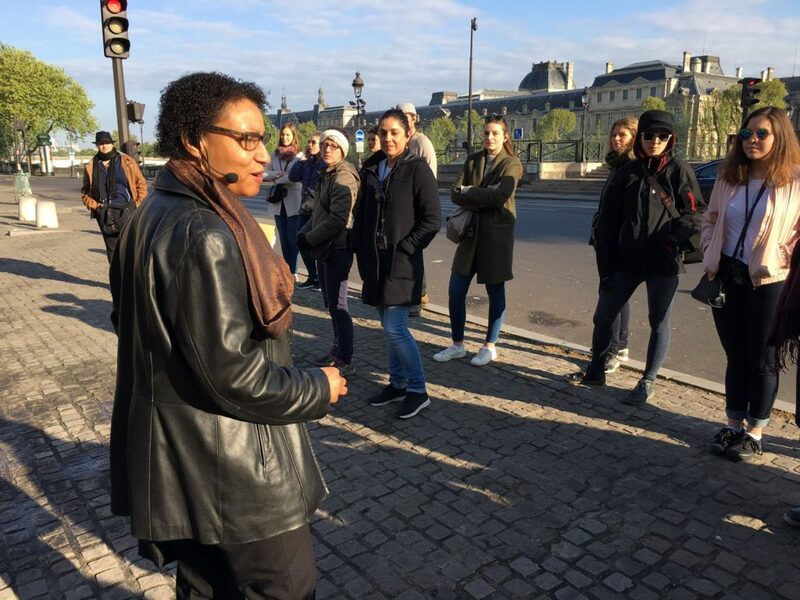 The aim of this annual study trip is to introduce students to the rich history of African American artists, writers and intellectuals who have lived in Paris since the 18th century, but especially since World War One, when black American troops brought jazz to France and sparked a hundred year old love affair between the two cultures (French and African-American). 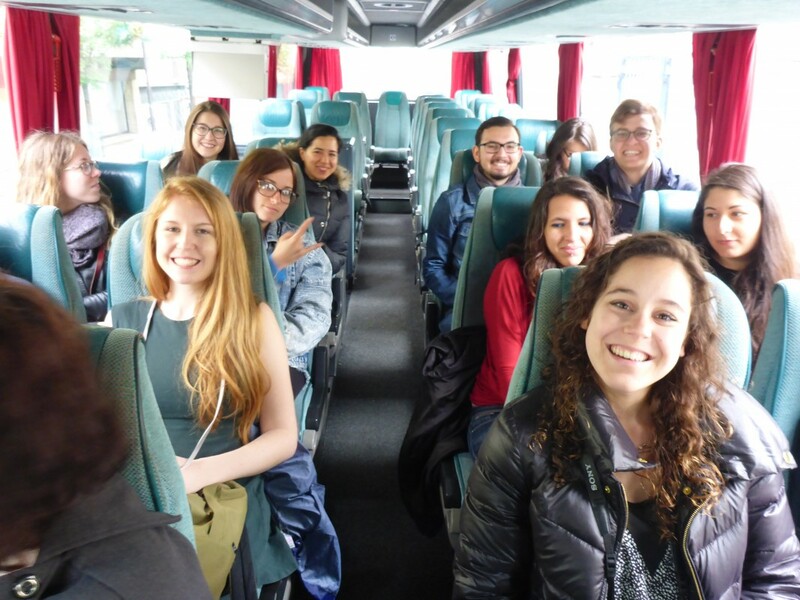 We will begin with a workshop at the hostel on Friday afternoon, in which everyone briefly presents their critical and personal reactions to a reading from the Study Trip Reader and we discuss the readings. 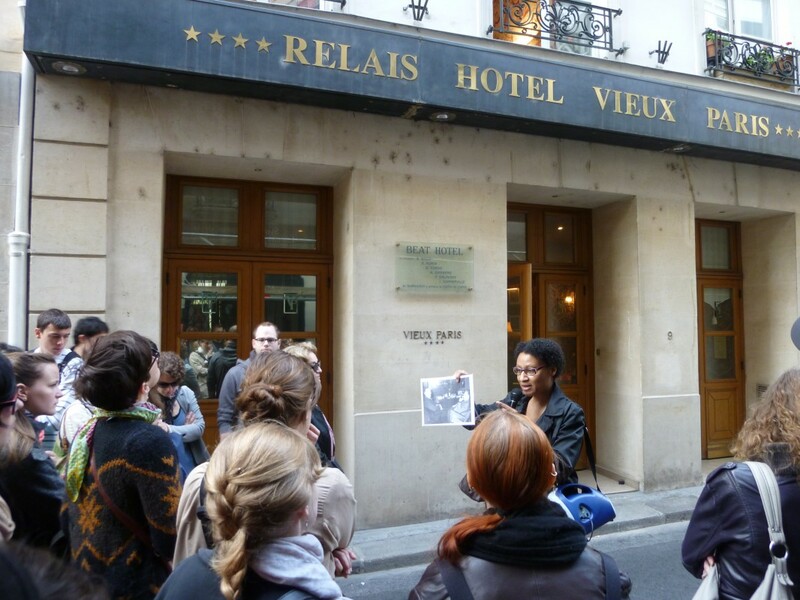 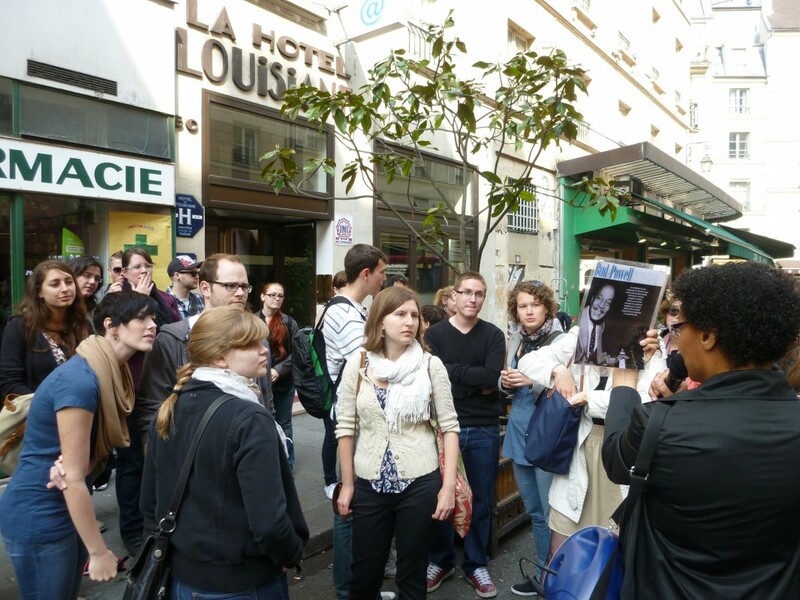 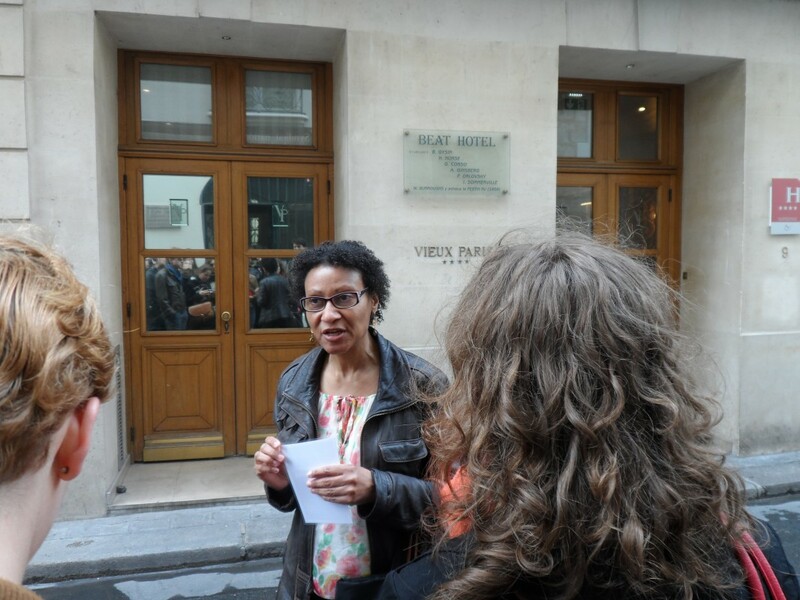 Saturday we will have a morning walking tour of St Germain des Prés to learn about the writers and artists who lived in this area (including Richard Wright, James Baldwin, and Chester Himes, among many others), followed by lunch (included in the tour). 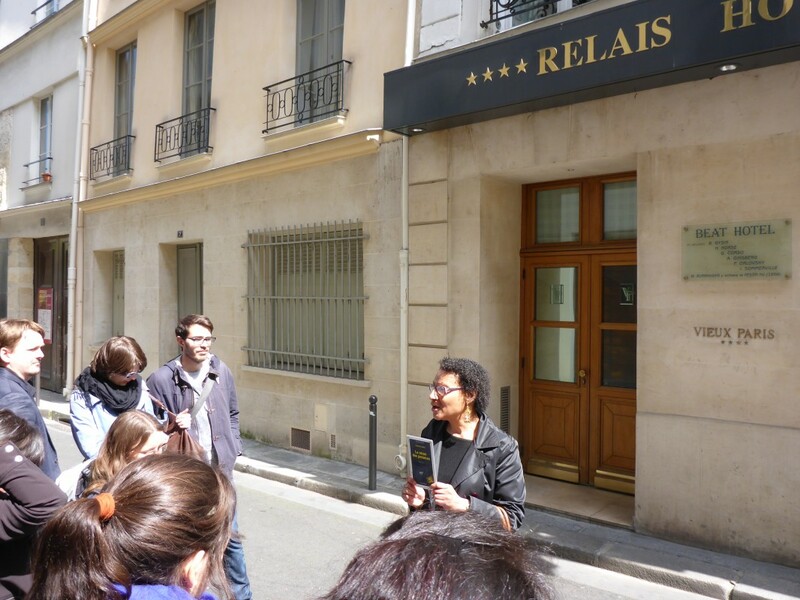 You will have the afternoon free (in which you could for example explore the legendary bookshop Shakespeare and Company, which is nearby). 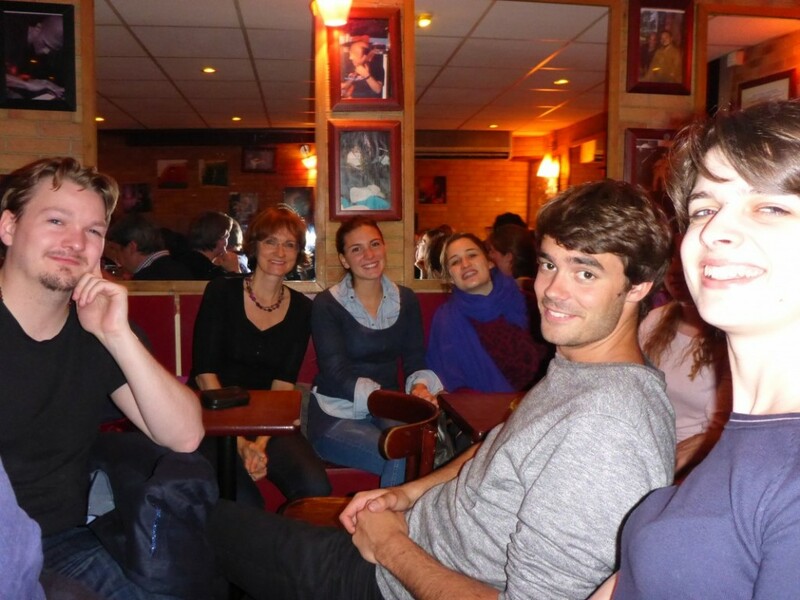 We will meet again in the evening for a concert. 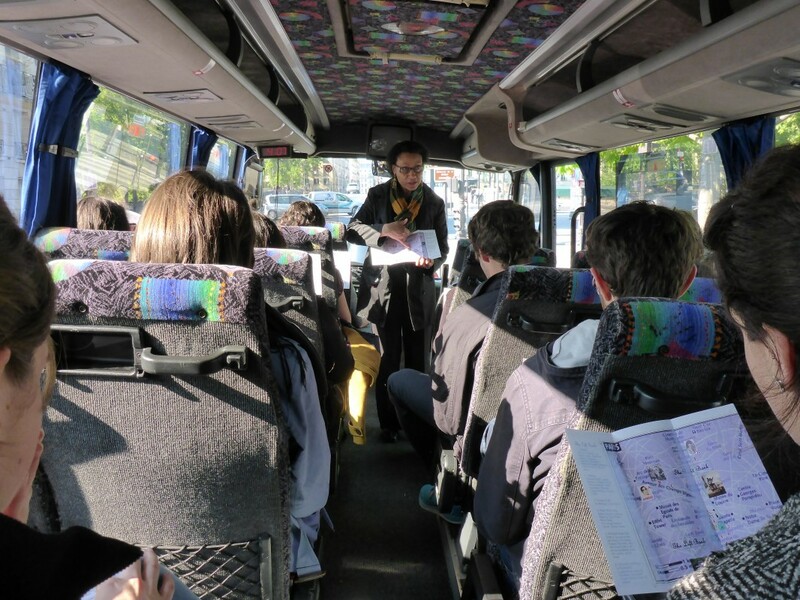 Sunday morning there will be a workshop from 9:30 to 11:30, after which you are free to go home or go exploring (we will recommend museum exhibits that are linked to the theme of the trip). 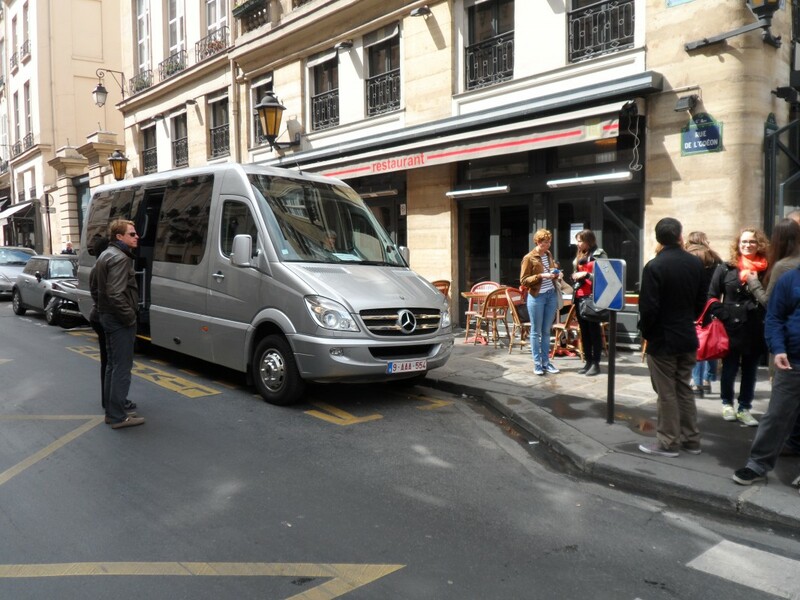 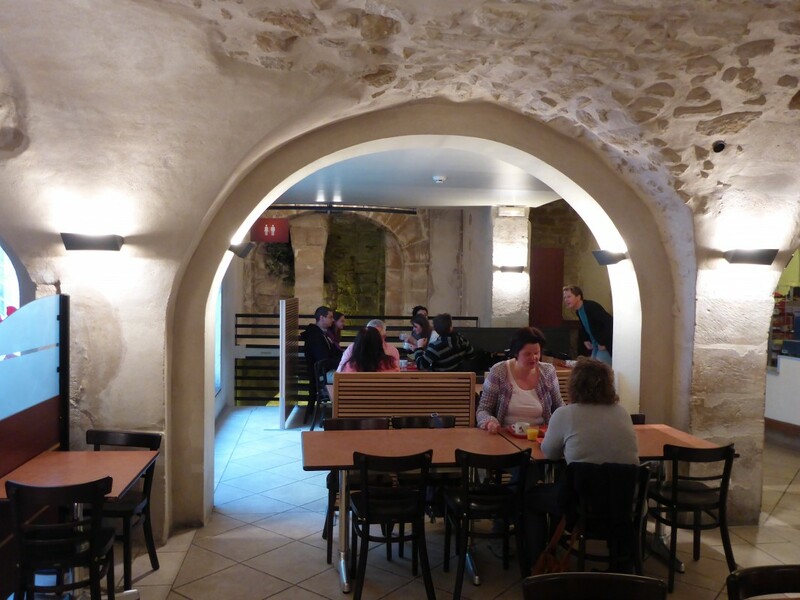 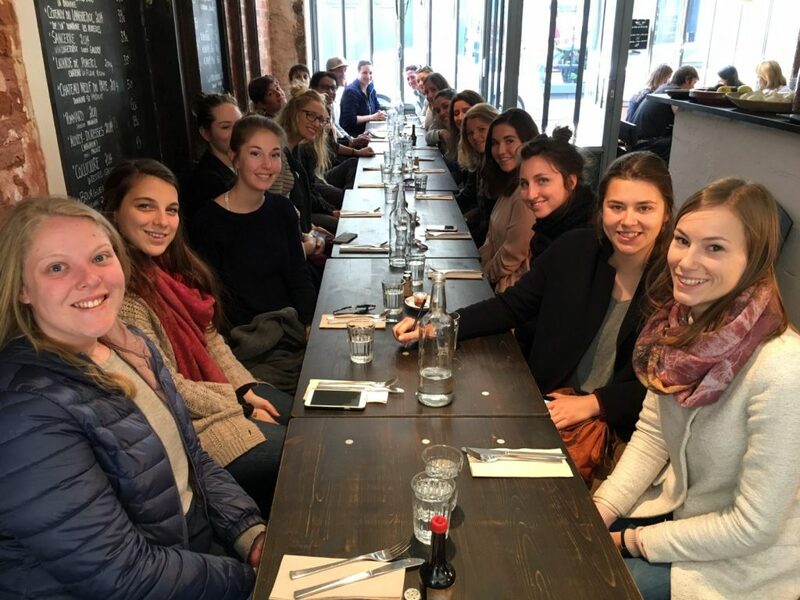 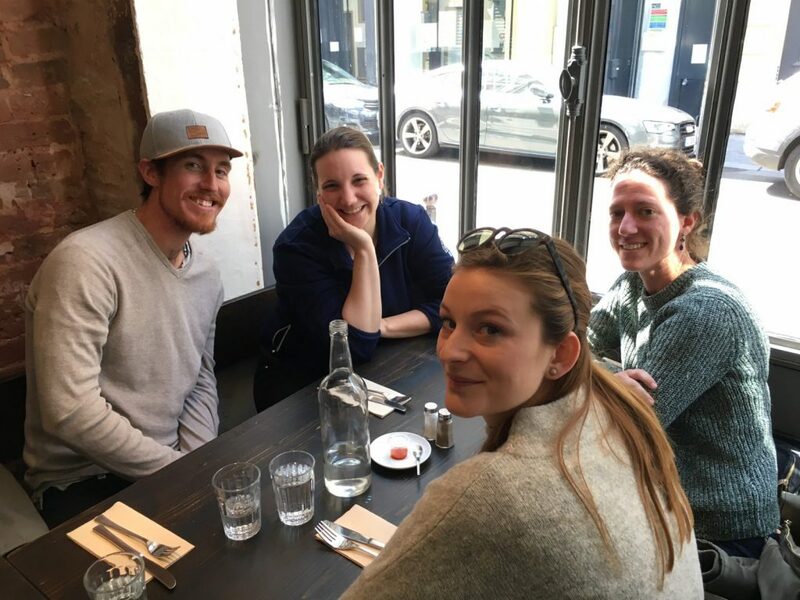 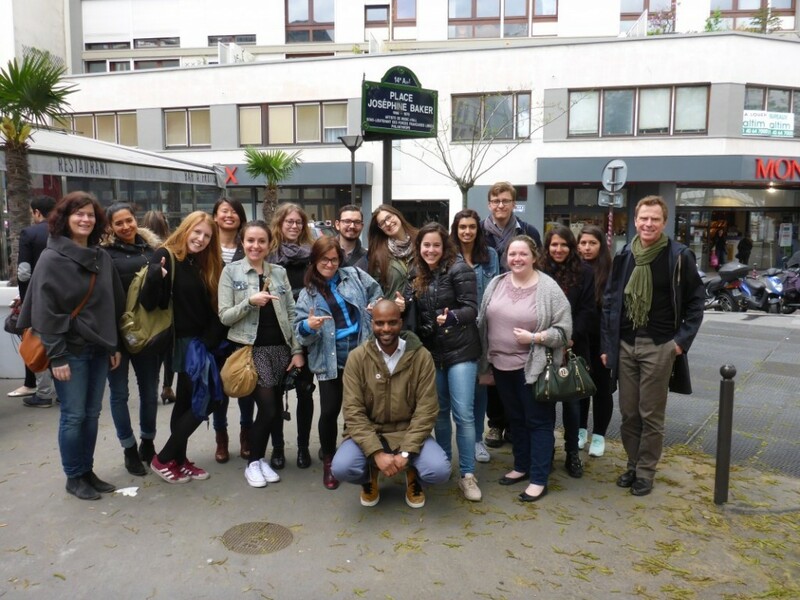 Students need to arrange their own travel, but we will all stay together at a hostel in the Marais by the St Paul metro station. 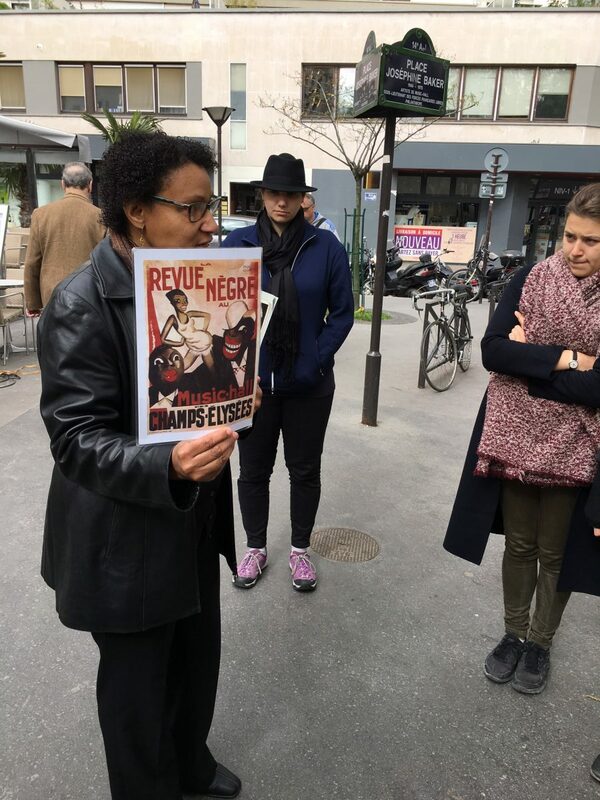 We began the 2016 weekend visit with a workshop on Friday afternoon, where everyone discussed the readings by Josephine Baker, Langston Hughes, Claude McKay, James Baldwin, Richard Wright, and Chester Himes. 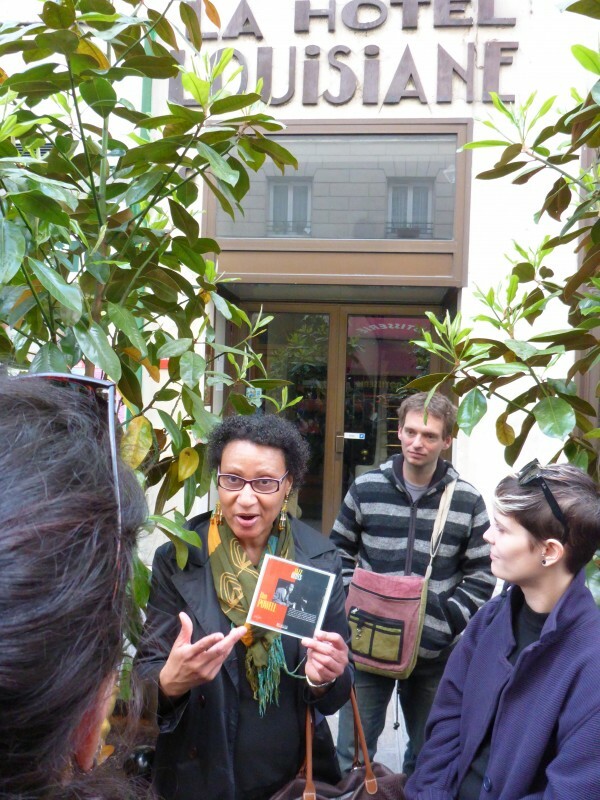 On Saturday our visit of Paris started off with a walk around the Latin quarter with Julia Browne of Walking the Spirits tours, and continued with a bus tour of Paris and Montmartre (stopping at the Alexandre Dumas monument and the Place Josephine Baker), and ended with lunch in a Senegalese restaurant in the Marais, le Petit Dakar (https://somanyparis.com/2014/06/19/le-petit-dakar-resto-senegalais-du-marais/). 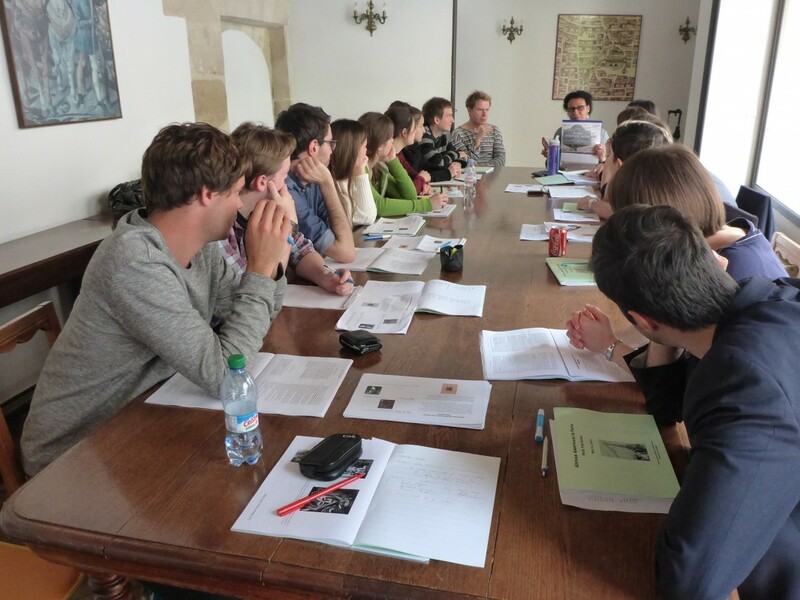 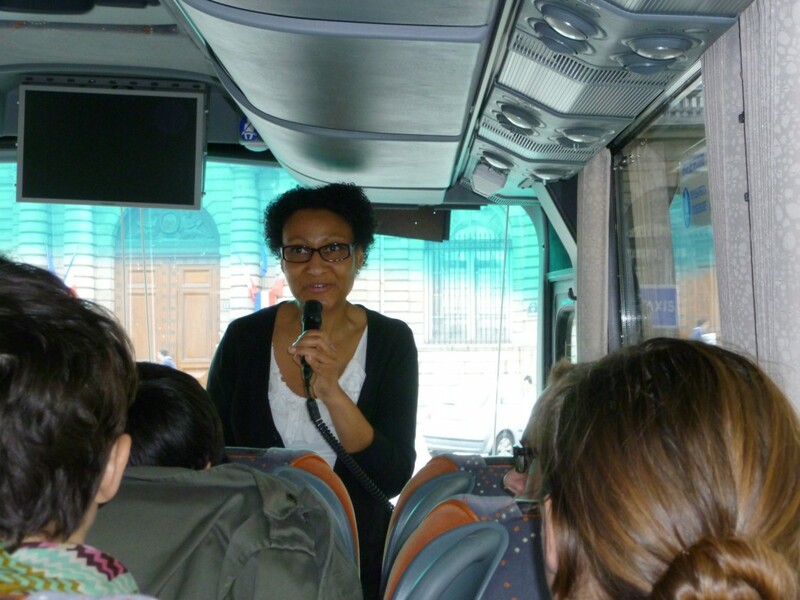 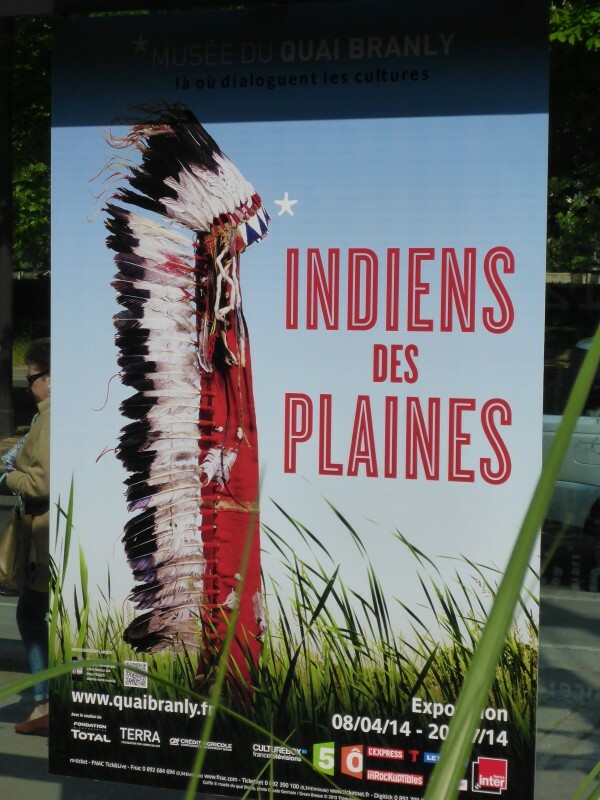 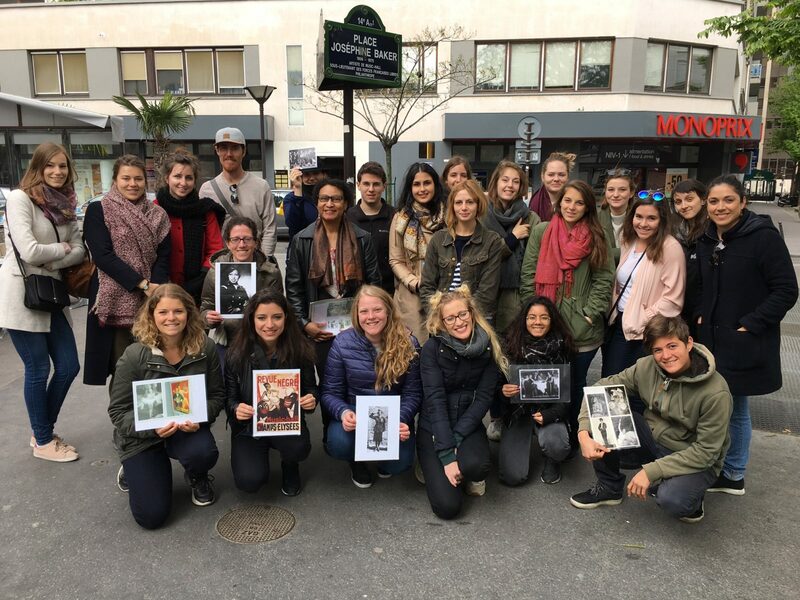 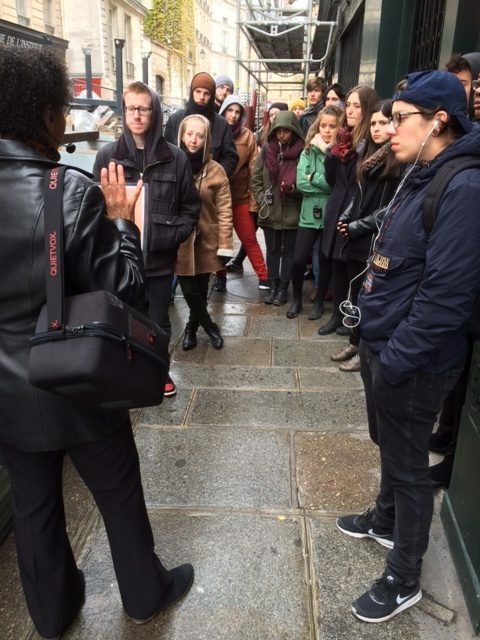 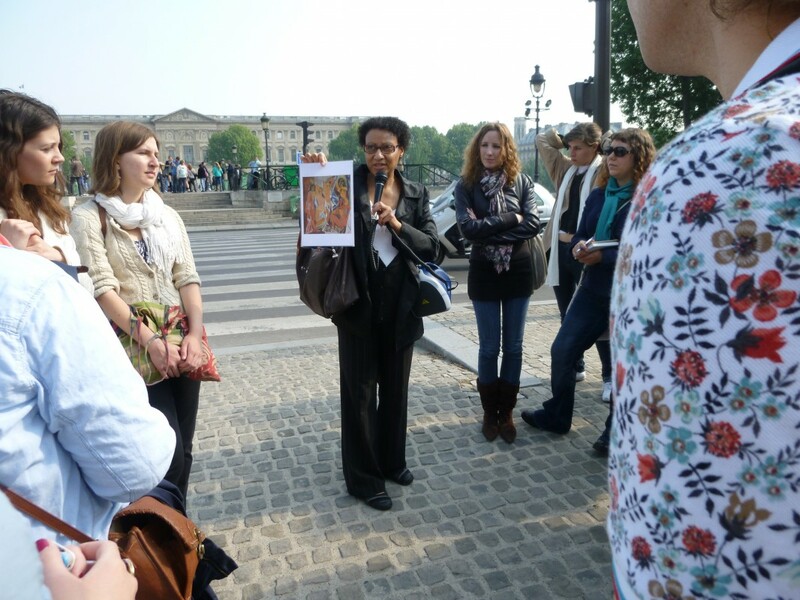 The aim of this annual study trip is to introduce students to the rich history of African American artists, writers and intellectuals who have lived in Paris since the 18th century, but especially since World War One, when black American troops brought jazz to France and sparked a hundred year old love affair between the two cultures. We began the 2015 weekend visit with a workshop on Friday afternoon, where everyone discussed the readings by Josephine Baker, Langston Hughes, Claude McKay, James Baldwin, Richard Wright, and Chester Himes. 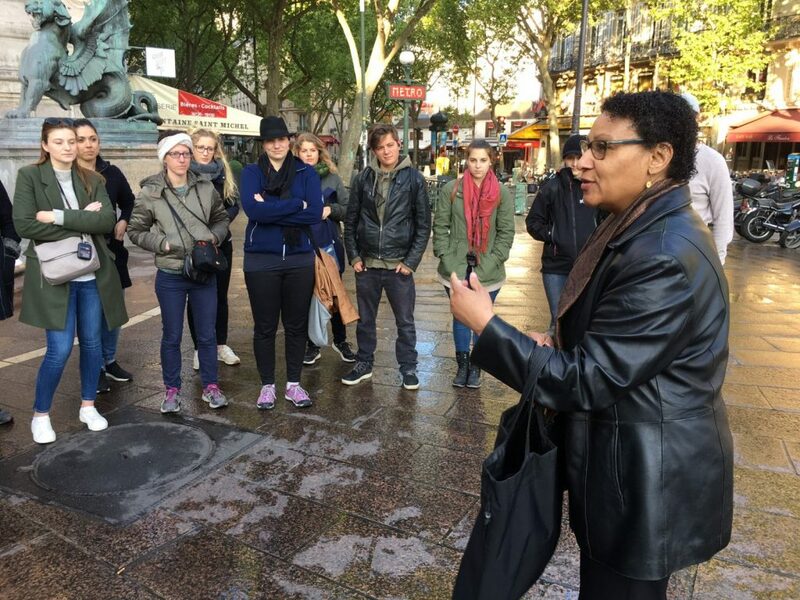 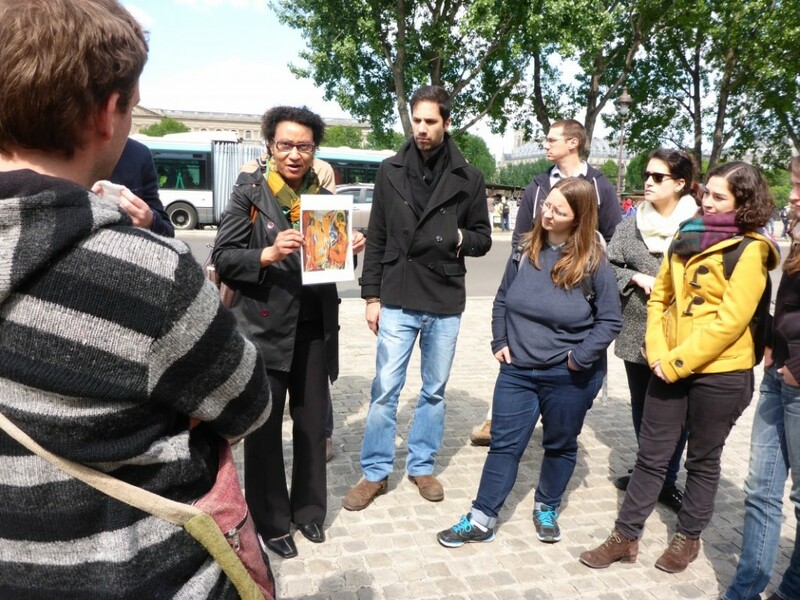 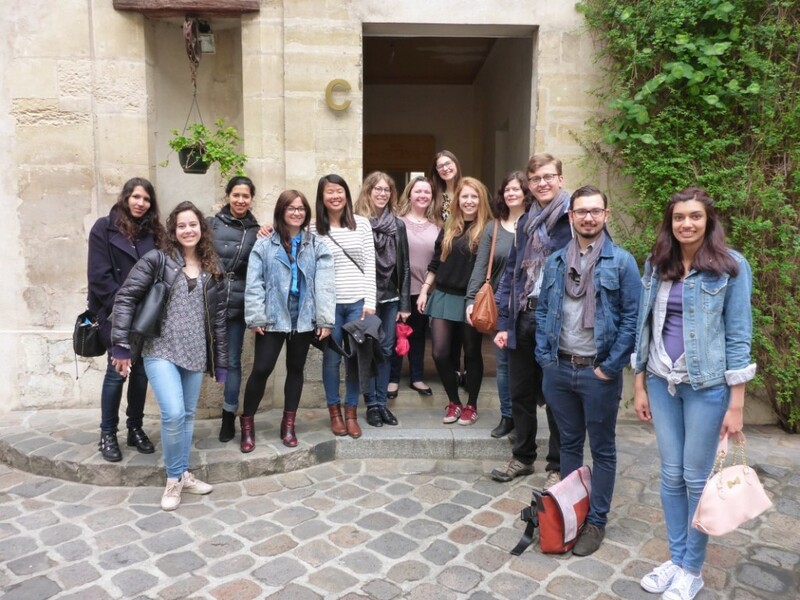 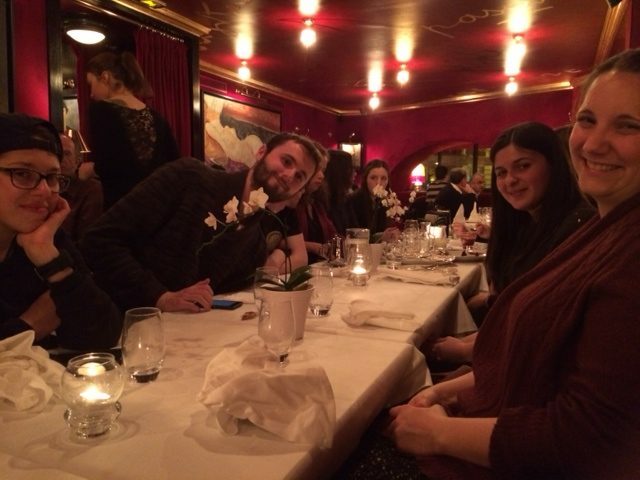 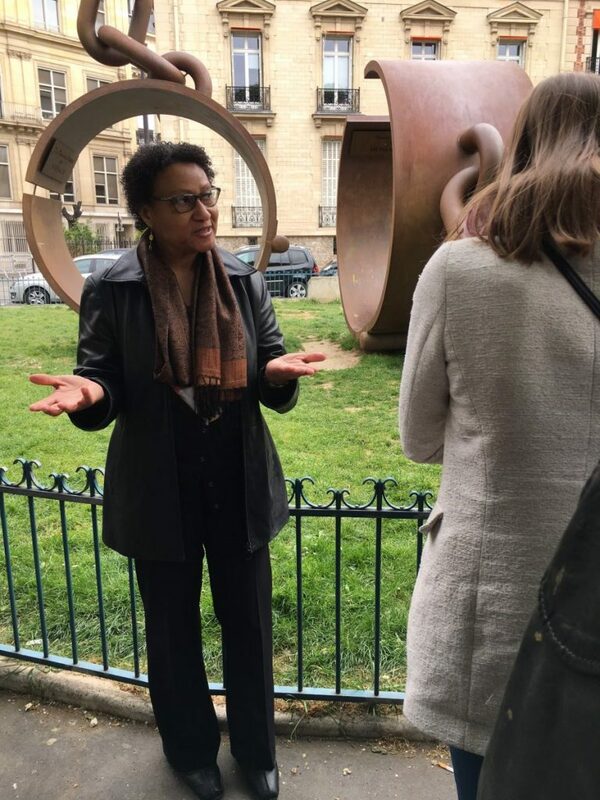 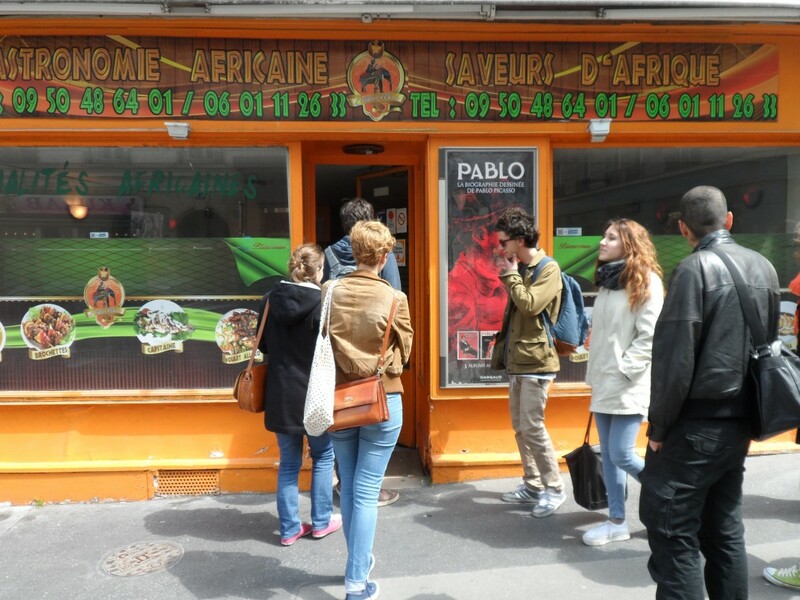 On Saturday our visit of Paris began with a bus tour of Paris and Montmartre with Kevi Donat of Walking the Spirits Tours (stopping at the Alexandre Dumas monument and the Place Josephine Baker), and included lunch in an African restaurant, and a visit of the Latin Quarter on foot. 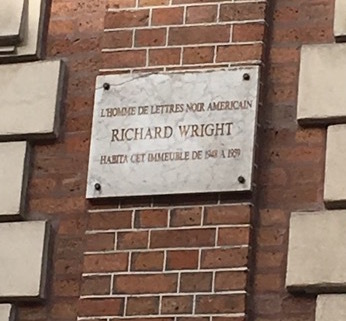 We finished with the so-called Beat Hotel, where Burroughs finished writing Naked Lunch and where Chester Himes wrote A Rage in Harlem. 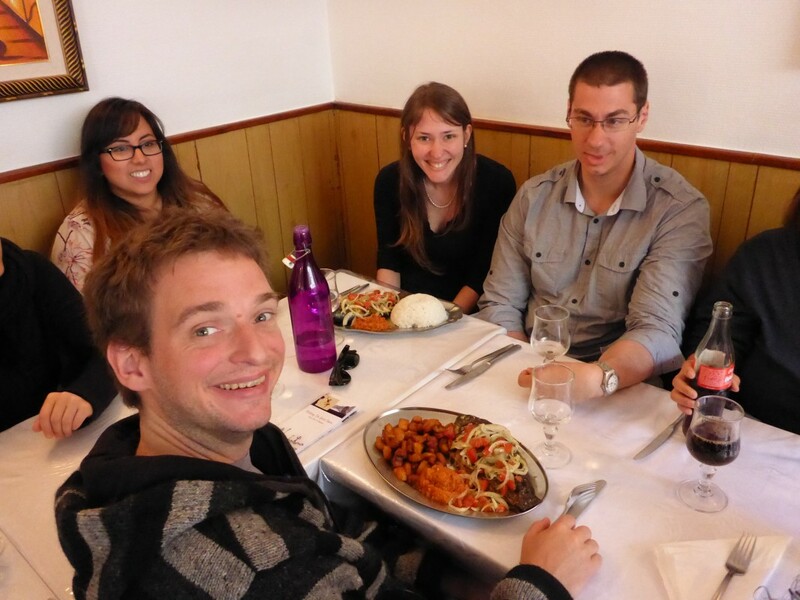 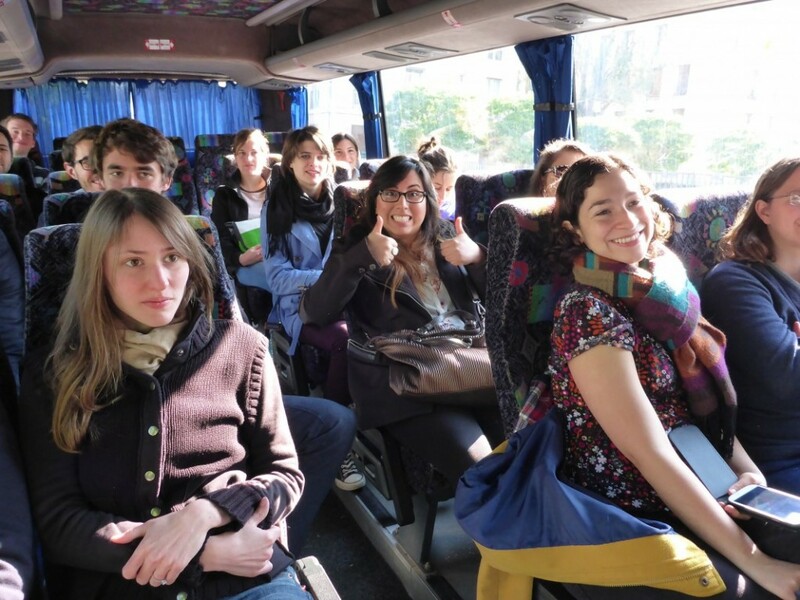 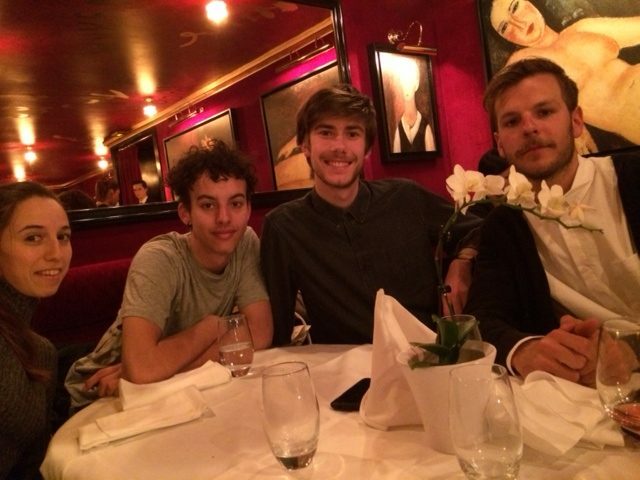 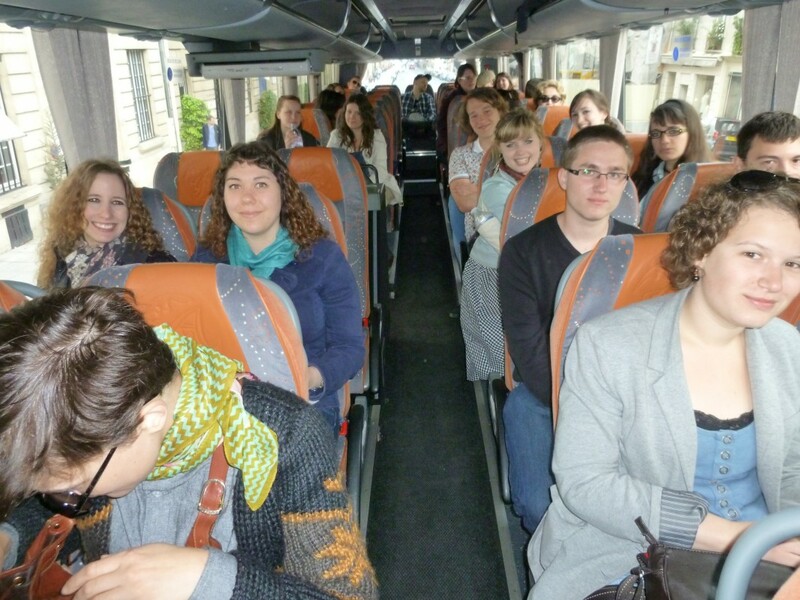 We also welcomed three students from the University of Lancaster to our tour this time, and attended two jazz concerts. 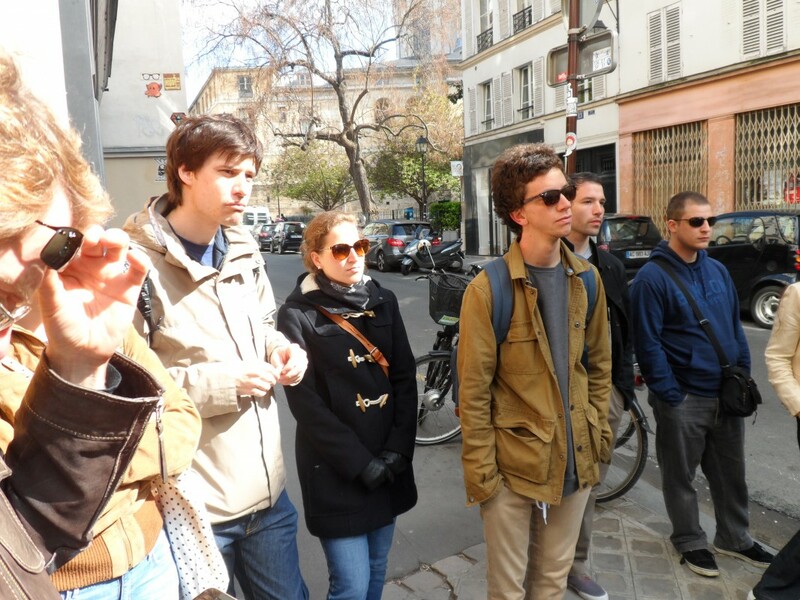 Practicalities: you arrange your own travel to Paris, but we stay together at the MIJE hostel in the Marais (near St. Paul’s metro station). 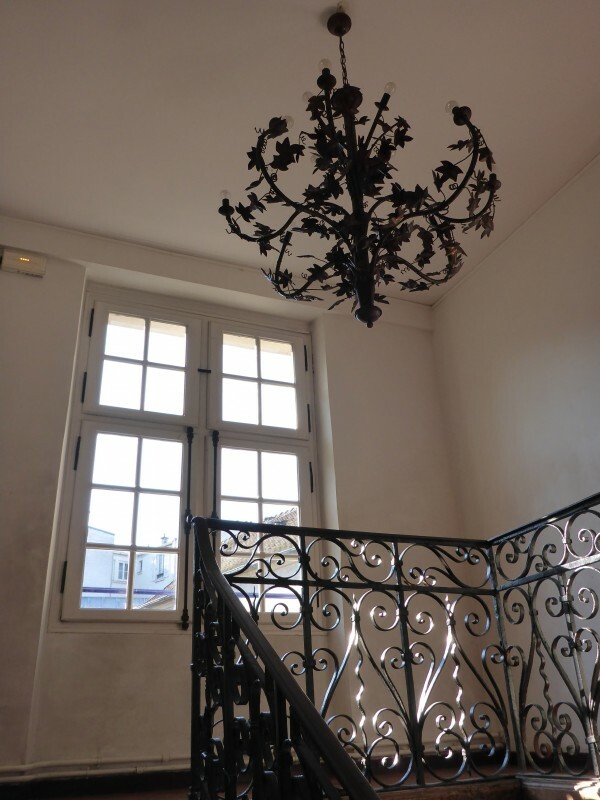 There is a workshop Friday from 5 to 7 p.m. and a full-day guided tour including lunch on Saturday, with a coach in the morning and on foot in the afternoon. 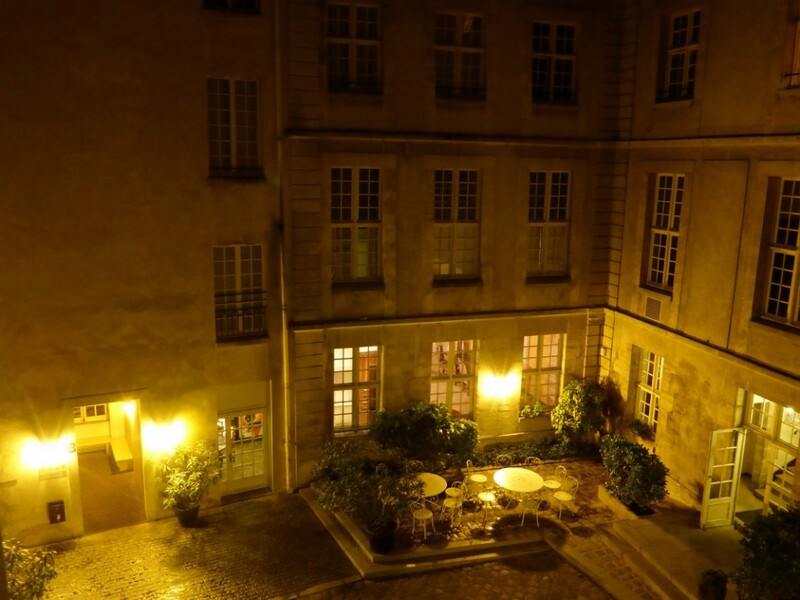 Evening activities (concerts, plays) will be announced soon. 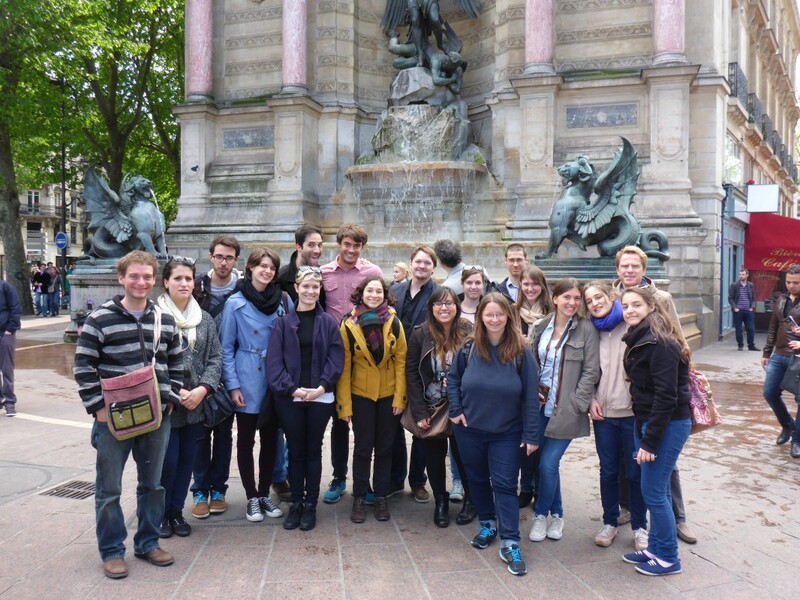 The guided tour costs 30 Euros (including lunch) for UNIL students (and 105 for non-student participants). 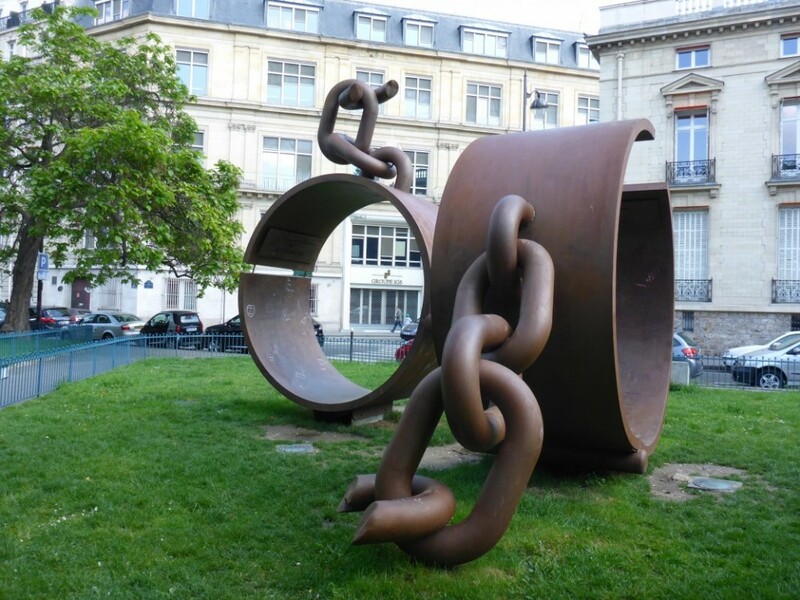 The Alexandre Dumas Monument, a pair of chain links, broken to show the end of slavery. 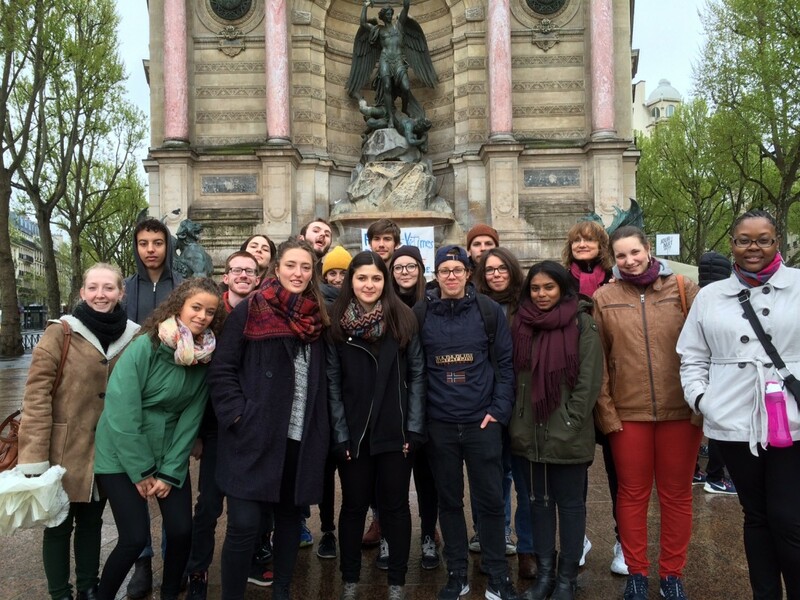 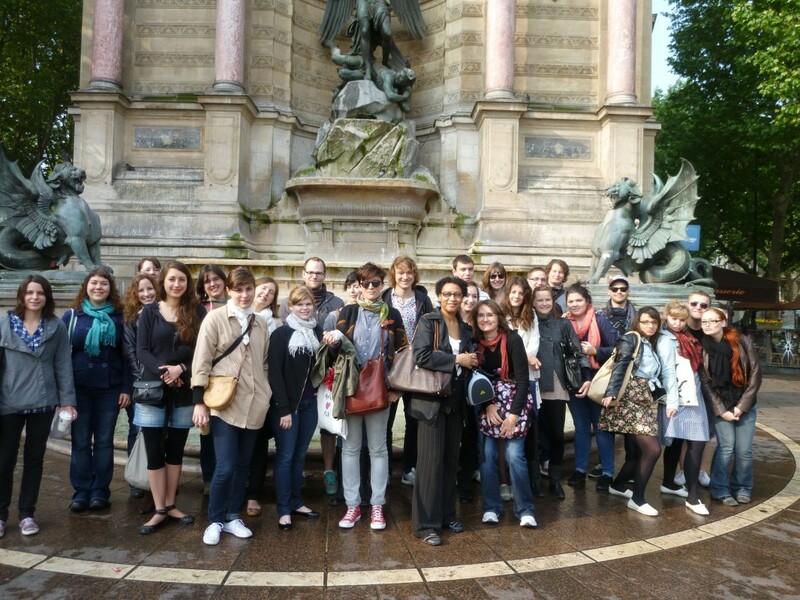 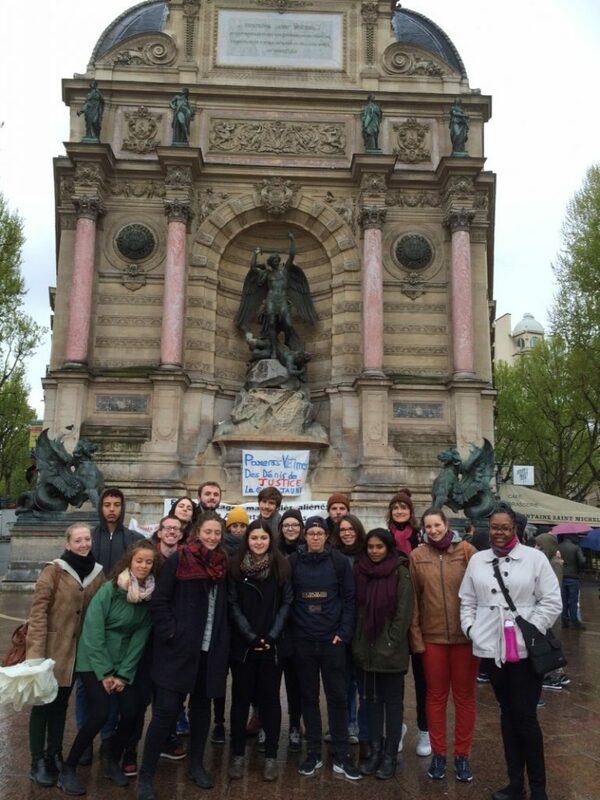 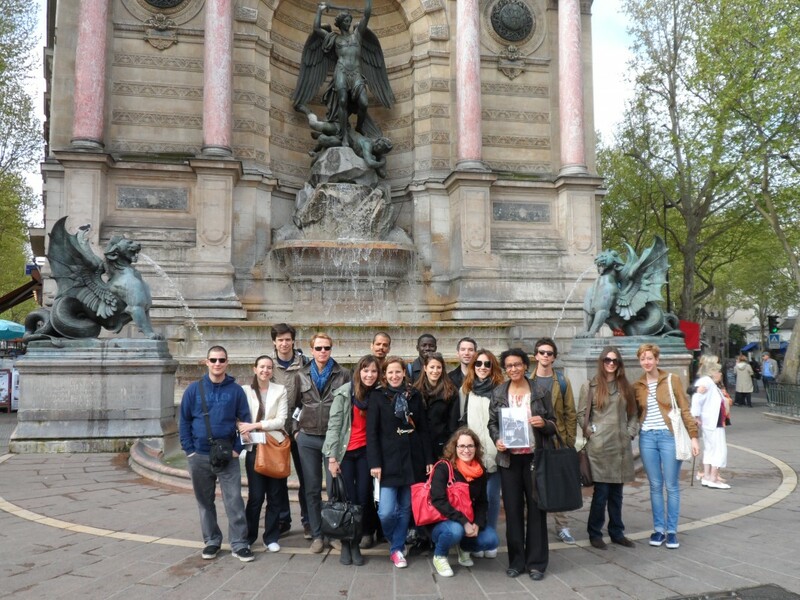 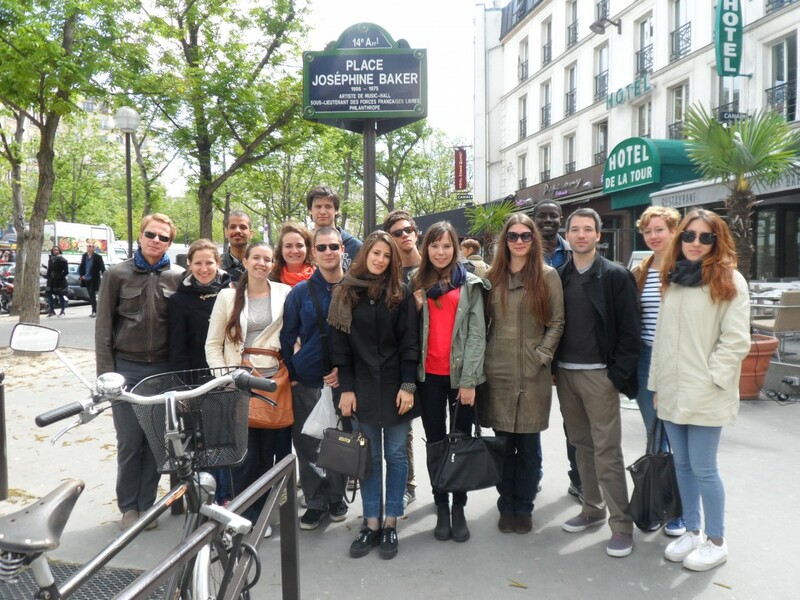 See the pictures for the 2013 Paris trip below!